Note: This is the second article in a two-part series. Part 1, which was posted Friday, can be found here. In Part 1, I explored how the concentration of wealth is crucial to the racial politics surrounding Brazil’s World Cup. The Brazilian government is using the 2014 World Cup and 2016 Summer Olympics to showcase the country’s neoliberalization. Neoliberalism is an ideology and economic process that advocates privatization, free trade, deregulation, downsizing the public sector and opening domestic markets to foreign actors. Like most countries, Brazil is undergoing neoliberal expansion in various ways, which have the most adverse impact on Black, Brown and Indigenous people. Nowadays, racialized communities are particularly vulnerable to two byproducts of neoliberalism: government land grabs and labor exploitation. This is how “pacification” works: government officials give drug traffickers a few days’ notice to vacate before military police units specializing in urban warfare are sent in. Next, these security forces reclaim the territory, street-by-street, searching houses, cars and suspicious individuals for drugs and weapons. After the drug gangs “leave” and order is established, the police are joined by urban planners, social workers and other officials to begin implementing social and economic development programs. Making matters worse for favela residents is the fact that the military conducts most of Brazil’s urban policing. These local police and government actions have global implications. By razing favela communities and justifying it with rhetoric of development, the goal is to attract capital into Brazil, furthering the country’s position as a growing economic power. Brazil’s poor are paying the highest price for this neoliberal expansion, and therefore, it’s unlikely they will benefit from potential economic growth. Protesters know this. A myriad of different groups have spilled onto the streets and advocated for better services and treatment. Nevertheless, the difference between middle and upper class angst and the more race-conscious protests is evident. Each group has its own interests, but those having lower socioeconomic status have the most at stake. Brazil’s Black, Brown and Indigenous populations are the government’s most convenient target for neoliberal expansion. As such, they are the most vocal and consistent opposition groups. Security firms have been hired to keep unsightly poverty out of view of the coming international audience. This means that new high-rises are going up, new high-tech security systems are being installed, new roads are being paved, and dozens of favelas have been demolished because they were built in areas deemed “high-risk” or “designated for public use.” Evicting people from spaces “designated for public use” is particularly ironic when you consider that razing a favela will eventually lead to the private development and ownership of highly valued hillside real estate. Residents are courageously fighting back against grotesque neoliberal expansion. 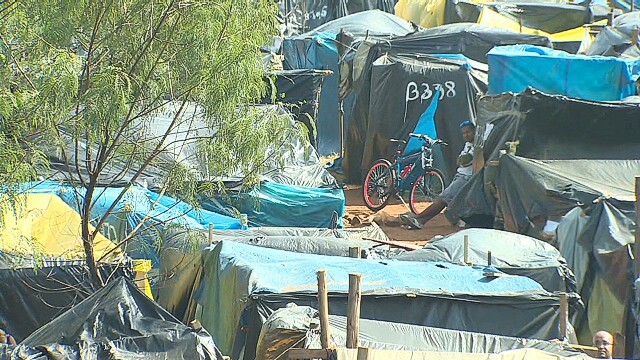 By June, about 3,000 São Paulo families had joined a squatter settlement known as the “People’s Cup.” Located a couple miles from the São Paulo stadium, the settlement is lined with tents of residents who used the World Cup as a platform to pressure the government into providing more low-income housing. Although less related to the World Cup, Brazil’s Indigenous populations also have experienced massive land losses. Some groups used the World Cup’s platform to advocate for their land rights. In May, Indigenous demonstrators demanding changes in how land is administered, joined a larger protest against the World Cup’s excessive cost. Other Indigenous Brazilians have also been politically active. Last October, Indigenous groups from around the country congregated to protest the government’s neoliberal projects, which undermine their rights and encroach on their lands. Brazil’s government depicts the World Cup as an economic gift that will keep on giving for generations. In reality, the government and its private sector friends’ actions are more greedy and convoluted. The World Cup is an exercise of neoliberal expansion that forcefully transfers land ownership from the poor to the wealthy. Brazil’s Black, Brown and Indigenous peoples have been at the forefront of opposition against this process. Along with land confiscation, the World Cup protests have also drawn attention to labor exploitation and unemployment in Brazil. Black and Brown Brazilians are again especially targeted by exploitative forces. Furthermore, Brazil’s Black workers are disproportionately marginalized. Today, 61 percent of workers who are unemployed for more than a year are Black. FIFA has gotten into the act too. The organization had Brazil ban vendors for the World Cup. Usually selling products outside of stadiums during domestic league matches, Brazilian vendors are an almost entirely Black labor force. The Globe and Mail’s Stephanie Nolan explains that such a move shuts out the informal economy, which is mainly composed of Black workers, from World Cup profits. By all accounts, Brazil’s government has shown that the World Cup is for its rich white population. Brazil’s national minimum wage is $330 per month. In contrast, official ticket prices for World Cup matches ranged between $90 and $990. Nolan notes that 41 percent of Brazil’s Black and Brown people make minimum wage. This means the most expensive World Cup ticket is worth three months’ salary for almost half of Black and Brown Brazilians. That most Brazilians of color were excluded from the World Cup is cynical to say the least. More importantly, the dichotomy between the exorbitant ticket prices and low wages is a condemnation against the Brazilian government and its sinister interests. Dave Zirin further details how labor exploitation extended to preparations for the World Cup. When Brazil was experiencing a labor shortage, officials sought out available workers, which included Haitian migrants, formerly incarcerated people and even people rescued from forced labor. Recent immigrants to the country are particularly susceptible to labor exploitation. Many Haitian migrants find work in construction, but those jobs only pay an average of $400 per month. Even worse, Brazil’s Public Ministry of Labor estimated that up to 300,000 immigrants work in slave-like conditions nationwide. Like the U.S. and European nations, there’s an irony between Brazil’s migrant labor exploitation and growing anti-immigration sentiment. 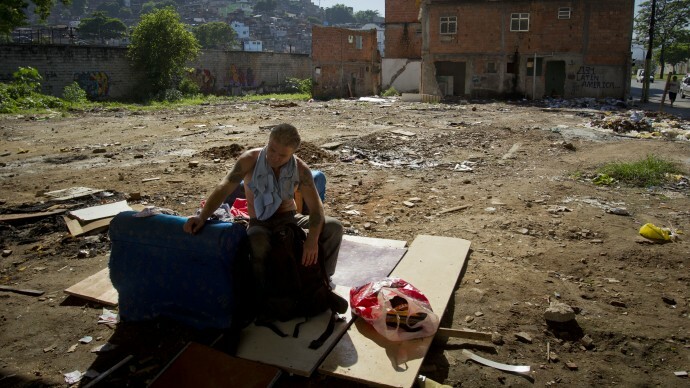 Brazil’s expanding neoliberal policies were most evident during preparations for the World Cup. Those policies unfortunately translated to heightened labor exploitation. People of color are underpaid, overworked or altogether excluded from the work force. At the same time, state and corporate actors continue to profit, which brought about the anti-World Cup demonstrations. Seeing how the protests were harmful to Brazil’s image, the government then pursued ways to dismiss their legitimacy. Governments often resort to patriotic and nationalistic propaganda in times of widespread dissent. Nationalism quells anger and protests against oppression. With the World Cup, patriotic fervor reaches a fever-pitch anyway, which is why rallying support for Brazil’s national team became an effective method to repress protests and sidestep issues. On July 1st, Brazil President Dilma Rousseff posted to her Twitter account, “It’s time to unite around our national team.” She added a quote from Nelson Rodrigues, a famous Brazilian writer, who once called the national team “the country in football cleats.” When Brazil suffered an embarrassing 7-1 defeat to Germany in the semi-finals, the president changed her tune. “Soccer doesn’t mix with politics,” she told a group of foreign correspondents. Rousseff’s shifting stance reflects how the government exploited the World Cup’s patriotic showcase for political advantage. Extreme patriotism was most evident during the pregame ceremony of the opening match between Brazil and Croatia. When the country’s national anthem came on, Brazilian players sang along loud and proud, and the crowd shared in the zeal. In fact, the players continued to sing even after the anthem stopped playing on the loudspeaker. The entire patriotic display seemed over the top. That quote embodies the existing class dichotomy within the current discontent. For parts of Brazil’s elite and middle classes, the protests oppose the current government. But for everyone else, the demonstrations condemn the establishment, which ignores and represses the most racially and economically vulnerable people. In this sense, there’s no defiance in enthusiastically singing a national anthem, particularly not while the state inflicts horrible devastation upon the racialized poor. Because of the very real race and class divisions, a businessperson will inevitably have different interests than someone who lost her home. The anti-government sentiments may be alike, but that’s where the similarities end. As for Brazilian players, the protests undoubtedly made them ponder the government’s oppressive actions, which is why it was strange to observe such patriotism during the national anthem before their matches. It was almost a paradox, given the way the state has treated Brazilians. This was no defiance either. It seemed staged by higher powers who hoped to capitalize on nationalist sentiment and in turn dismiss public dissent. The propagation of nationalism over racial or working class solidarity is practiced by countries around the world, especially in the West. Rhetoric of nation over race consciousness reinforces racism because it silences dissent against oppression. This year’s World Cup exemplifies how national identity is privileged and race is completely marginalized. On and off the pitch, society accepts racial violence, dispossession and degradation. People of color are valued only for their use and not their humanity. Of course, this is nothing new. Racist dehumanization is the norm. But the World Cup and the broader issues surrounding it shed greater light on racism. Take for example, the issue of fan racism. Fans don’t express racism when players are on their teams and playing well. However, if they’re on the opposing team, many fans don’t hesitate to convey their racist hatred. Indeed, Black players face the brunt of that hatred. Hypocritical racial attitudes based on team affiliation and performance prove how so many fans don’t see players as humans, but as property. Fandom is a microcosm for broader social attitudes. Because fans often treat players as “forty million dollar slaves” on the field, their racist values off the field are no surprise. Hence, these fans are as invested in the state’s racial oppression as they are in “their” teams. Fandom gives traction to neoliberalism, specifically, the process that dispossesses Black, Brown and Indigenous Brazilians. Even fans who have been critical of the World Cup are complicit in the ever-expanding sports-industrial complex, including yours truly. However, as many Brazilian protesters have shown, it’s possible be a fan of soccer while opposing the FIFA World Cup. It’s also possible to be complicit in neoliberal expansion and still actively oppose it. Thus, one can appreciate the ingenious creativity of the game’s most talented players without objectifying them based on their race. Enjoy the game today, but remember the human sacrifices that made it possible.